Raw Selvedge denim for denimheads! My store visit with Raleigh was an extraordinary experience. 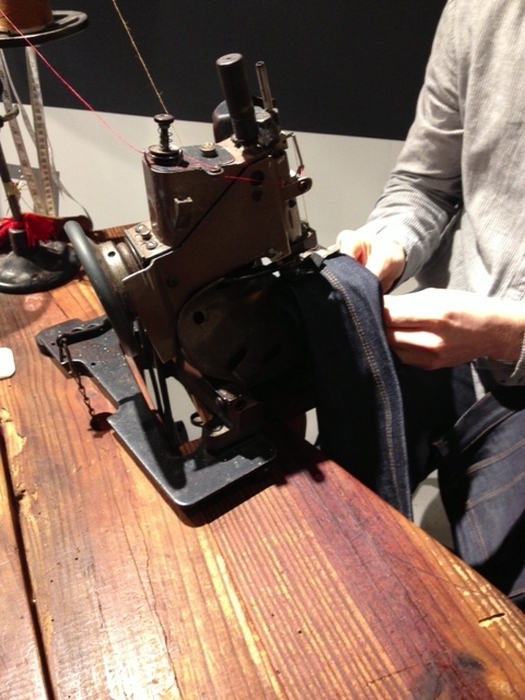 It was like attending a raw selvedge denim class. 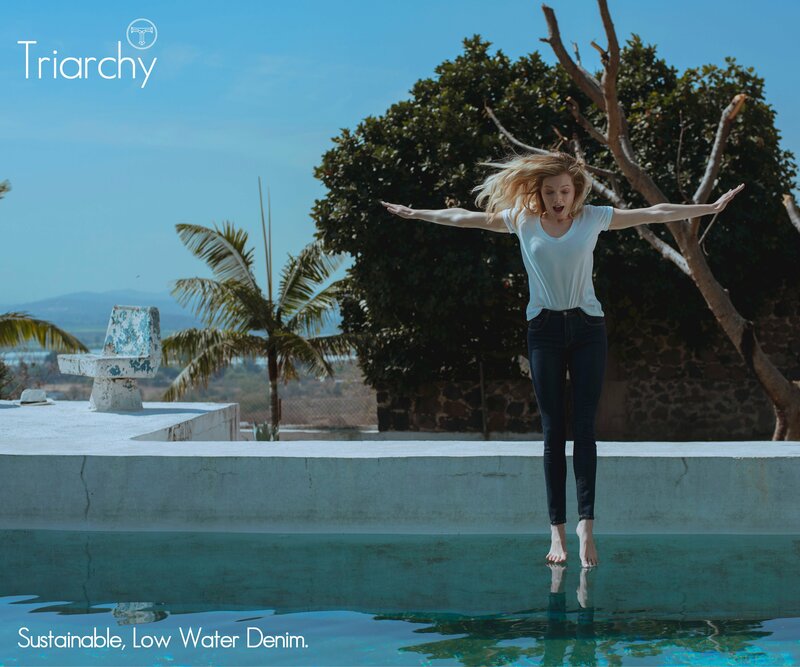 I went to the store to find out more about this amazing brand from North Carolina and try on several pairs of jeans to really understand and feel the differences among a variety of selvedge denims. Beau, the absolutely amazing manager of the store, was my Sherpa for this adventure. He was the most patient and knowledgeable “teacher”. He explained to me how the owners and founders, Victor and Sarah Lytvinenko are inspired by vintage sewing machines. One of these relics, see below, is actually in their New York store and is just for hemming the jeans right there. Every single pair of jeans is finished by hand. 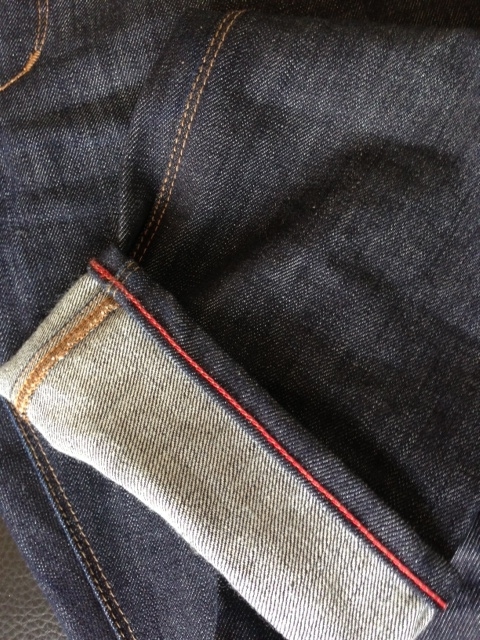 The back pockets of most of the jeans are double reinforced at the edges and there are tons of little details, like the red stitching inside all of the jeans – see the image below. I skipped the women’s side and went straight to the men’s section. Not that I didn’t love the women’s jeans – shown in the image above, they are actually quite awesome. But I wanted to try on some non-stretch, rigid, stiff, heavy-weight denim. 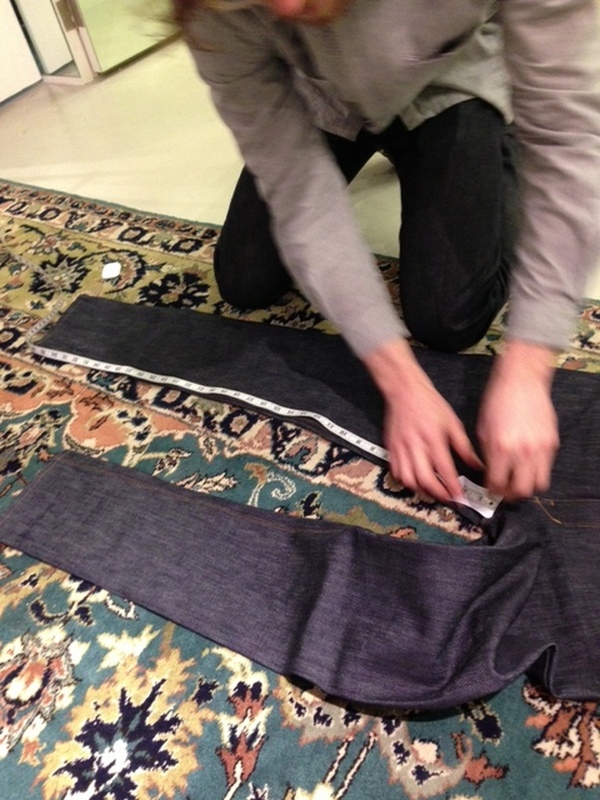 Unfortunately, up until now I hadn’t been able to find a pair of raw selvedge jeans that would really fit me. 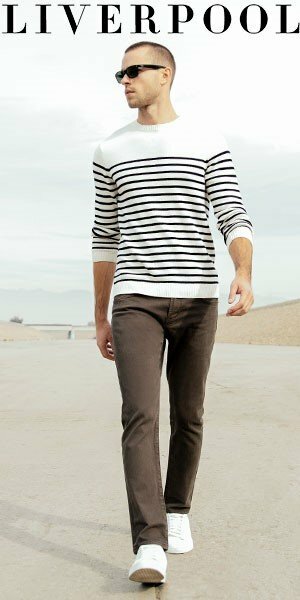 Usually the men’s jeans of this kind of denim are either too big at the waist, or too tight at the legs for me. My problem was solved with the second pair of jeans I tried on and which are now so mine! It is a tapered slim mid-rise style with button fly and all the trims. Below, in the gallery, you can see “MY VERY OWN RALEIGH JEAN” getting ready for me! Beau measured the hem, then he sat down at this truly awesome vintage sewing machine and hemmed them for me. The last image is of the new hem which looks exactly like the original hem and is just perfect. 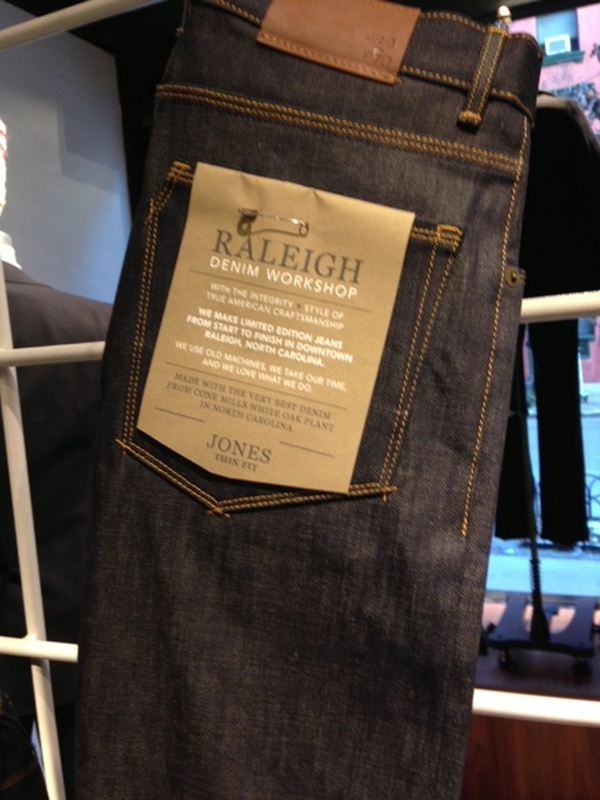 You can buy Raleigh jeans here in NYC in their store in Soho, 211 Elizabeth Street, or online. And here is some good news: Raleigh is having a sale right now!